The perfect team-building activity for any FISH! event or meeting opener. The deck is divided into a series of corresponding cards, one for Partner A and another for Partner B. 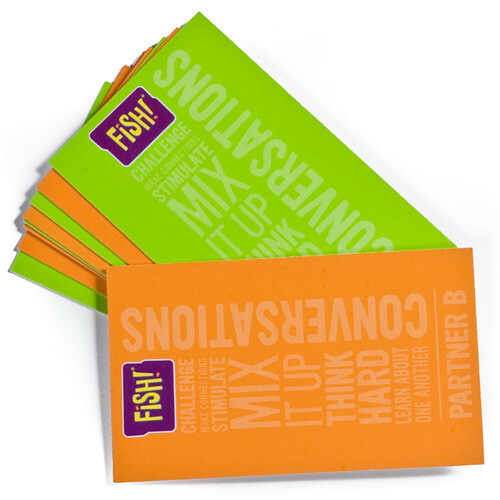 The partners follow the instructions on their particular card, one discussing a FISH! topic while the other listens, then responds. 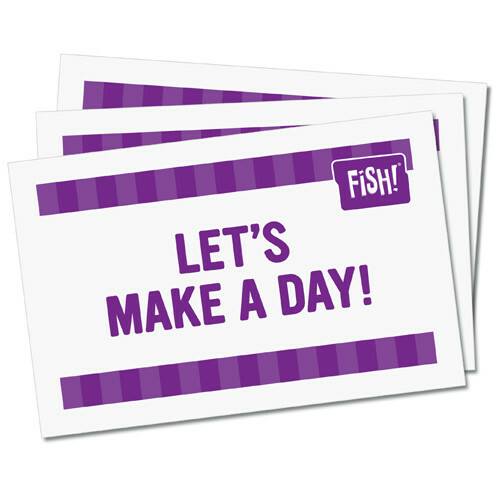 Conversation Cards help you explore what each FISH! practice looks and feels like. It’s a great way to learn about yourself, learn about each other and practice Be There. The more you know what makes a person’s day, the more impact your actions will have on them. Get to know your teammates and how they like to be recognized in this entertaining workshop activity based on the old TV show, Let’s Make a Deal. 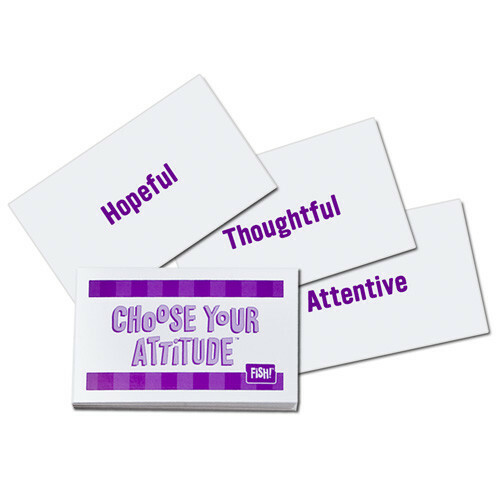 Learn how the attitudes you choose have an impact on you, your colleagues and your ability to achieve common goals. A fun workshop activity that helps people understand how much control they actually have over their attitudes.